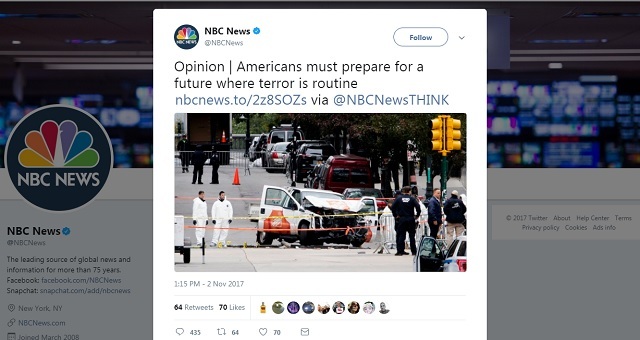 NBC News Hot Take: "Americans Must Prepare For A Future Where Terror Is Routine"
Americans must prepare to live with constant, "routine" terrorist attacks, because deportations and closed borders is "not who we are," so says NBC News. NBC News tweeted on Thursday, "Americans must prepare for a future where terror is routine." They linked to an opinion piece on their website by Cesare Frank Figliuzzi, the former Assistant Director for Counterintelligence at the Federal Bureau of Investigation. The good news is that counterterrorism professionals are quietly, albeit gradually, changing their own strategies. To be clear, any loss of life is a tragedy and law enforcement will always work tirelessly to avoid it. 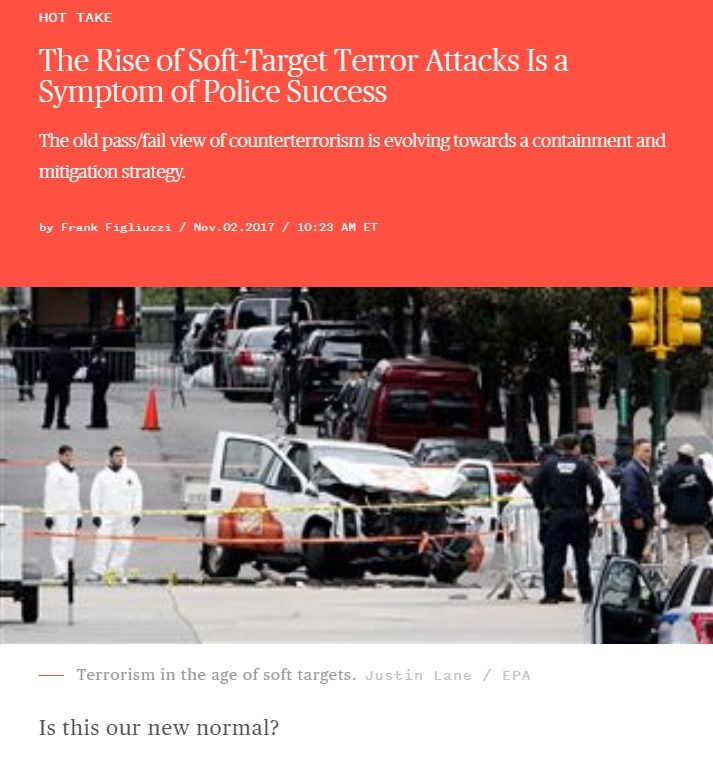 But there is inevitable evolution happening as the old pass/fail view of counterterrorism pivots towards a containment and mitigation strategy. But just as officials are adjusting their perspective, it may be time for the public to adjust as well. Terrorism task forces around the nation already have rigorous training and awareness programs for truck rental personnel, hotel staff, and a host of other groups who may find themselves suddenly on the front lines of our war against terror. If we cling to the old view that any successful attack represents a counterterrorism failure, we must also be ready to accept a new way of life. Do we want to view anyone from a different country, with a different set of beliefs, as no longer welcome here? I would argue we do not. Today, the White House is already calling for even more stringent constraints on immigration policy. Taken to its illogical extreme, this approach to counterterrorism will preclude anyone from anywhere from entering the U.S. if any of their fellow nationals has ever committed a terror act. That’s not who we are. If you don't want our immigration policy to be decided by a random lottery seeking to maximize "diversity," then clearly you just hate everyone merely because they have "a different set of beliefs" than you. Keeping people from third world hell holes filled with terrorism out of our nation is "not who we are." We're a nation of hippy liberals ready to sacrifice our children's future in the name of "maximizing diversity." A people willing to tolerate constant, "routine" terror attacks just so long as we're not called "racist." what a bunch of feckless, meaningless horseshit. NBC should be ashamed. This really is sick. Just get used to never ending massive immigration as well? Or we can just ban Islam and its followers. A better solution for us all.